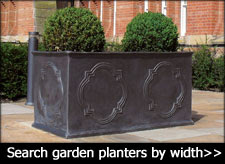 The ADEZZ Vadim Square Planter has been manufactured from 4mm hot-dipped galvanized steel where iron has been coated with a layer of zinc having been immersed in a molten bath at temperatures of around 860 °F. 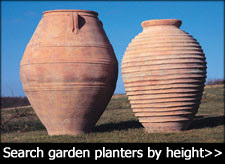 The results produce an almost indestructible planter with a unique weathered industrial appearance. The Vadim square is available to buy in 5 different sizes and is raised on solid 9cm feet. 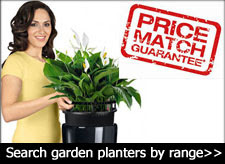 The durability of Galvanized Steel Planters makes them ideal for commercial landscaping projects. A matching galvanized steel trough and galvanized steel giant cone are also available. Hot-dip galvanization is a form of galvanization. It is the process of coating iron/steel with a layer of zinc by immersing the metal in a bath of molten zinc at a temperature of around 860 °F (460 °C). The effect is a usually dull grey, fairly strong finish that stops further corrosion in many circumstances, protecting the steel below from the elements. 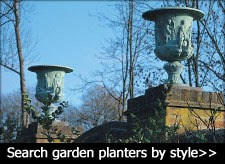 Galvanized steel planters require little maintenance, to clean simply wipe down with a wet cloth and water. Bespoke sizes are available on request.